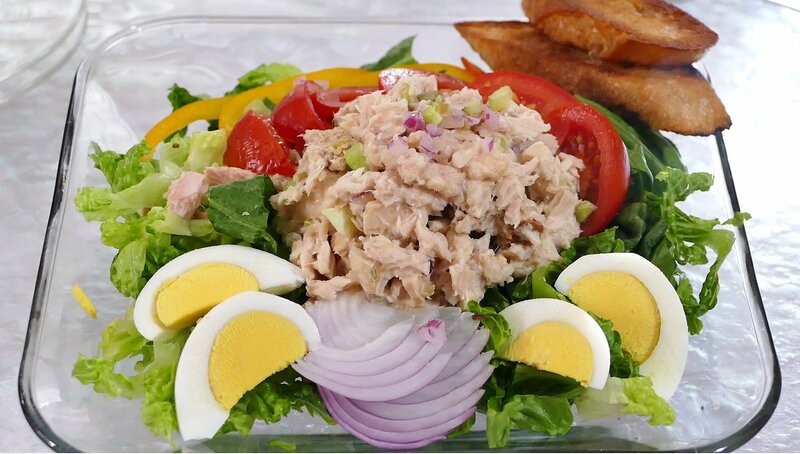 Drain the juice from the Albacore tuna and place in a bowl. Add the remainder of the ingredients and gently mix together. Can be used in a sandwich, on a crustini, stuffed in bell peppers or in a salad!